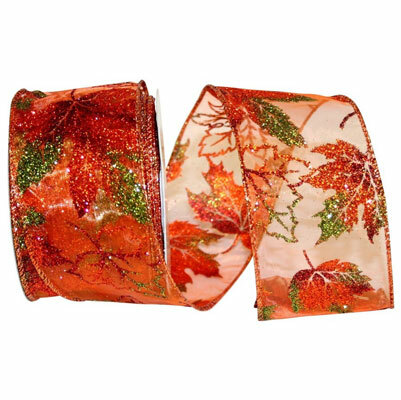 This Sheer Ribbon offers the perfect hues of the Autumn Season with glistening Metallic Leaves that makes it extra special! The Wired Edge of this ribbon will bring extra body & hold making this ribbon a decorator's delight! The Ribbon Diva has a large selection of Decorative Fall Ribbon ideal for decorating Autumn wreaths & creating beautiful crafts. ....Please select Burgundy Orange .